Steve Schlueter, a Keller Williams associate and KW MAPS Coach in Round Rock, Texas, shares three impactful ways to keep your relationship with past clients alive and help you always stay top of mind: make sure you have a systematic plan for regular communication, then host events and make the Career Growth Initiative (CGI) tools work for you. One of the most powerful ways to reconnect with people and add value to your business is by hosting past client events and parties! When planning past client events, remember to always come from a place of abundance and generosity. Here are three ideas to get your past client event planning started! Housewarming Parties – When your clients close on their home, offer to host a housewarming for them and supply the food and beverages. This will show your appreciation for your clients as well as make an impact on their guests. Holiday Pie Party – Host a holiday pie party at your office and invite past clients to come by, with a friend or two, for a slice of pie. Seychelle Van Poole of Van Poole Properties has had great success with this! “We invite our clients to the office to pick up a pie or bundt cake they can take to their Thanksgiving meal. The first year we did it, we gave away 50 and received seven referrals. Last year we gave away 450 and received 15 referrals as a result,” she said. 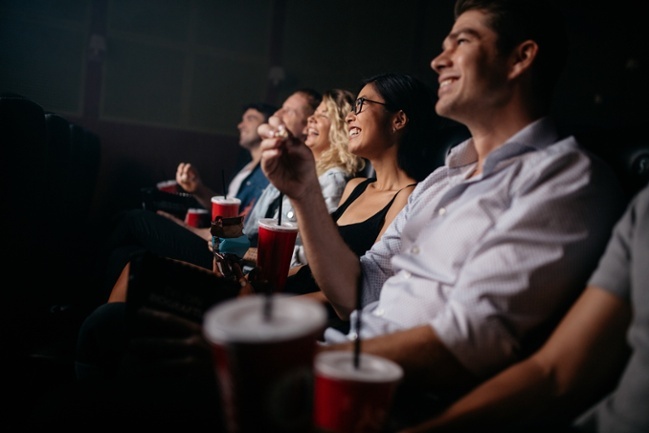 Movie Night – Rent a theater and invite past clients to attend the show – bringing a donation to a local charity as their “admission ticket.” The donations could include books, toys or canned food supplies that are in need in your community. Food and Beverage Tastings: Bring in some local products and set out tastings. This is a great way to invite local businesses that may donate a portion of the items being sampled since there is a business benefit in it for them as well. Charity Golf Event: Host a golf tournament at a local golf course benefiting a charity of your choice. You can involve other local businesses for swag-bag item donations. Host a Home Improvement Class: Have a local contractor teach a class on basic home improvement ideas and show participants how to do things like property paint trim, regrout tile, change a faucet, etc. Take Them Out to the Ballgame: Purchase a block of seats at a sporting event and invite clients to come out and mingle with you and your team for a fun family event. During the game, you may even have a chance to strike up a conversation about their future home buying or selling plans. Host a Property Management Class: To excite your clients about the possibilities of purchasing a second investment rental home, have a class on the basics of property management. As a bonus for the first 10 attendees, you can give away a free copy of the KW book HOLD. Document Shredding Day: Invite clients to your office and have them bring a box of their old documents that need to be shredded. Offer the shredding service free. You can hire a shredding company to drop off a secured bin, and while clients are depositing items in the bin, have a conversation with them about their future plans. First-Time Home Buyer Lunch and Learn: Ask your clients if they know anyone who may be purchasing a home for the first time and invite them to your free lunch and learn. In the class, you can give away a free copy of the KW book Your First Home. In the book, make sure to write your contact information so they know to call you when they are ready. Free LED Lightbulb Day: On the next Earth Day (April 22), tell clients to come by for a free LED lightbulb. On the box, make sure to put your contact information. You can also raffle off copies of the KW book Green Your Home. Celebrate National _____ Day: Keep a calendar of fun, silly holidays and schedule an event in your office around them. You could have an ice cream social on National Ice Cream Day (third Sunday in July) or a taco bar on National Taco Day (Oct. 4). Bring the Party to Them: Select a client at random and bring them lunch! You could center this around a Facebook Live event where for one week you invite clients to enter with a chance at a free lunch for their office. Then, draw the name in a live video.